The Xbox One is a machine that runs on a lot of energy and has an Energy saving option users may struggle to find, so Microsoft have come up with the idea to add the option to activate energy saving mode in the initial set up. 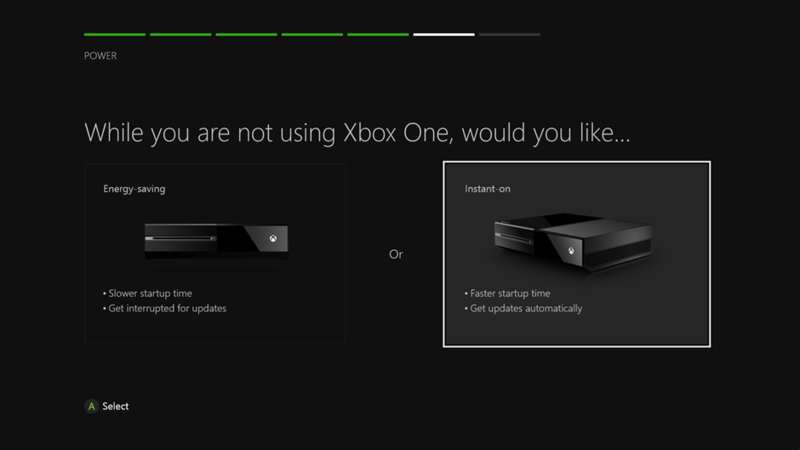 The reason why the Xbox One has such a big use of energy is because even when it is not in use it is waiting for you to say ‘Xbox on’ or it is waiting to automatically update. A screenshot shows that in the initial set up you can chose one of two modes, Energy saving and instant on mode. Under each option is two points on the basics of what each mode does, however the energy saving mode is described Negatively. Over the standard 5 year life span of a console you could save enough money on electricity bills using the Energy saving mode to buy an extra game or two.